CPD Top Up is the most convenient way to accumulate and track CPD. Use the “Top Up – Add Other CPD” feature to add CPD from conferences and other sources. Type out statements for all of your CPD activities. With a simple login process, you will be topping up your CPD in no time. Daily, weekly, monthly or even as a one-off, we have you covered! 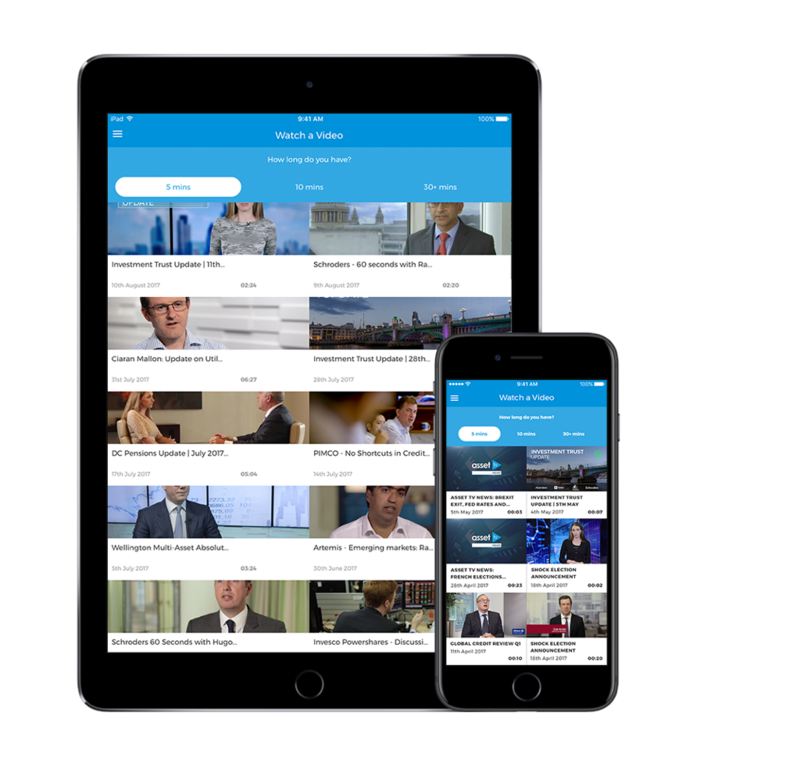 CPD Top Up integrates with Asset TV and Akademia websites, so any CPD you accumulate by watching videos on either site, will automatically be added to your CPD statement. 1. Who is this app for? 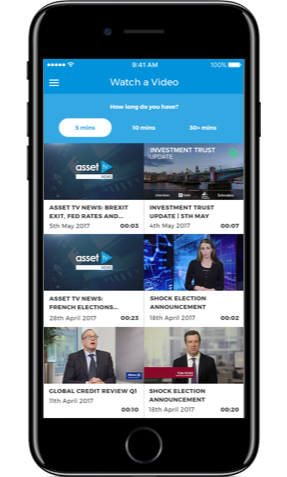 This app has been designed for UK investment professionals (who are registered users of Asset TV or Akademia) to watch videos, add external CPD and check CPD statements on the go. 2. Is this app available in all countries? 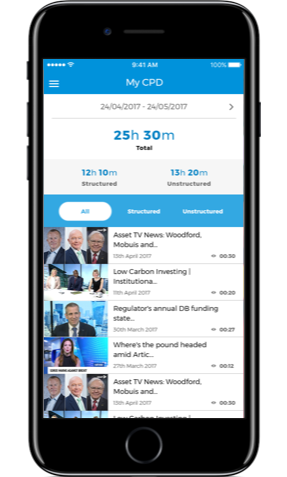 The app is currently only available in the United Kingdom, but will be coming out soon in the United States, Canada, Europe, Asia and South Africa. 3. How do I top up my CPD? Tap the menu icon in the top left corner, then tap Top Up - Watch Video. When the screen loads, click on a video and watch it. 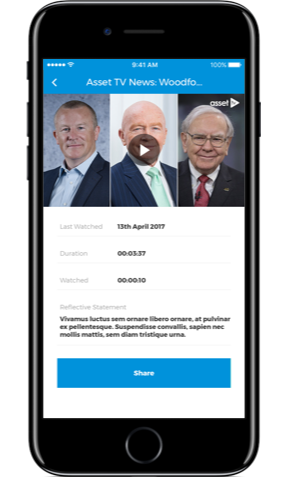 These views will automatically record on your CPD statement. 4. How do I add CPD from a conference or other external sources? Tap the menu icon in the top left corner, and then tap Top Up - Add Other CPD. When the form loads, complete the fields relevant to your event and press Submit. This will then be added to your CPD statement. 5. How do I watch a video? There are two ways to watch. You can continue watching a video you had previously started by tapping the menu icon in the top left corner, then tapping My CPD and selecting a video from the list. To watch a new video, tap the menu icon in the top left corner, then tap Top Up - Watch Video. When the screen loads, click on a video and watch it. 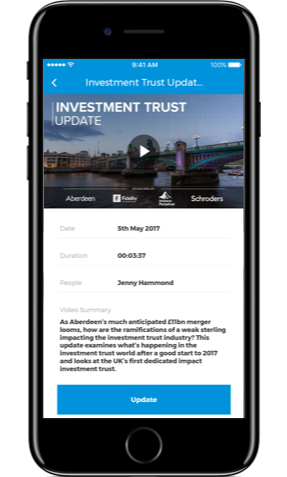 These views will automatically record on your CPD statement. 6. Which tab do I click to see my CPD? Tap the menu icon in the top left corner, and then tap My CPD. This will show all of your CPD. You can then click Structured or Unstructured to see the videos broken down by category. Copyright © 2019 all rights reserved. CPD Top Up is part of the Think Digital Group.